NEW DELHI: well-known ghazal vocalist Jagjit Singh, [assed away at the age of seventy at 8.10 am in Lilavati Hospital on Monday morning. 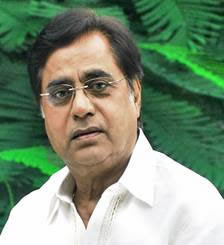 Jagjit Singh was admitted to the Lilavati Hospital on September 23 after he suffer brain haemorrhage in suburban Bandra where a life-saving surgery was carry out on him. "Jagjit Singh passed away at 8.10 am after having a terrible haemorrhage," Dr Sudhir Nandgaonkar, hospital spokesperson, told PTI. Jagjit Singh was born in Sri Ganganagar, Rajasthan. He had four sisters and two brothers and he is known as Jeet by his relatives. commonly known as "The Ghazal King", he gain approval jointly with his wife in the 1970s and 1980s, as the first ever flourishing duo act (husband-wife) in the history of recorded Indian music. Recipient of Padma Bhushan award, he has sung in several languages including Hindi, Urdu, Punjabi and Nepali. His popular ghazals include, Meri zindagi kisi aur ki, mere naam ka koi aur hai, Apni marzi se kahan apne safar ke hum hain, Wo jo hum mein tumme qaraar tha, Patta-patta boota-boota haal hamaara jaane hai, Hoshwalo ko khabar, etc. Jagjjit Singh has also sung for popular movies like Arth, Prem Geet, Sarfarosh and Tarqeeb.